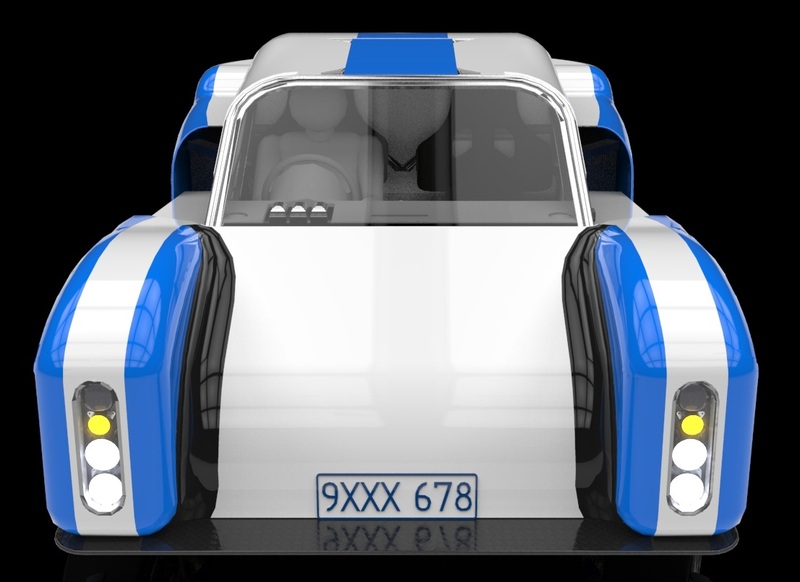 Like many people before me I’ve had the idea knocking around in my head for many years to design and build my own car. Quite why this is I don’t know and quite what makes me think I’ll be able to finish the thing I have even less idea. So sometime in the middle of 2005 I started thinking seriously on the subject, which led to research then designing, more thinking, more research and redesigning. On at least two occasions I got quite a long way into the design then threw it away as it just didn’t work for me. But now I’ve arrived at a point where I have a design for a chassis that is complete in its major aspects, so construction can start on that soon. There’s still 1000’s of things for me to sort out and other than a pile of parts I’ve nothing to physically show for the effort to date. The purpose of the blog is primarily to share the experience of going through this exercise my friends around the world (and to get their assistance) and to encourage other people to have a go too. The posts to follow should eventually catch up to the point that I’m at now, and I’ll try and explain why I’ve done what I’ve done along the way to getting there.